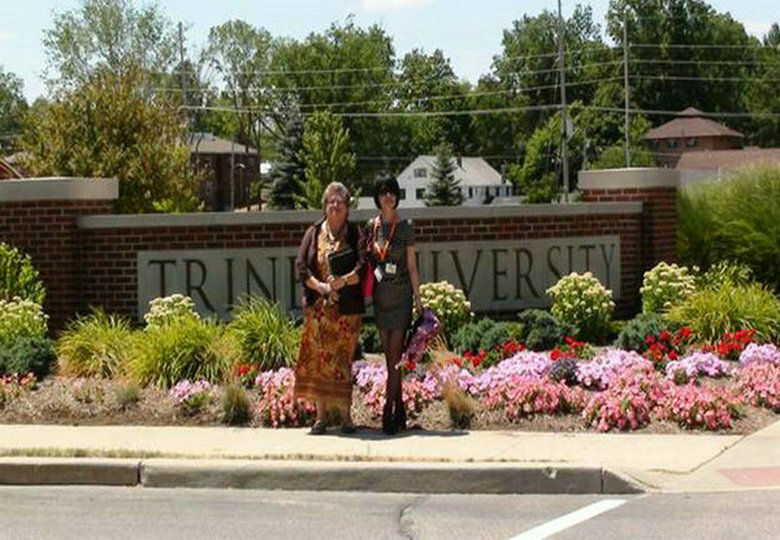 After about a twenty-five hour tour (three hours’ bus, nine hours’ train and thirteen hours’ plane),we reached Trine University at last. To my surprise, there are not any fences around the campus at all, which is impossible in China. Although it is not big , it is very tidy and beautiful ,especially all kinds of small and ancient buildings made of wood and bricks, which we maybe have never seen in other universities. The people here are very friendly and enthusiastic. 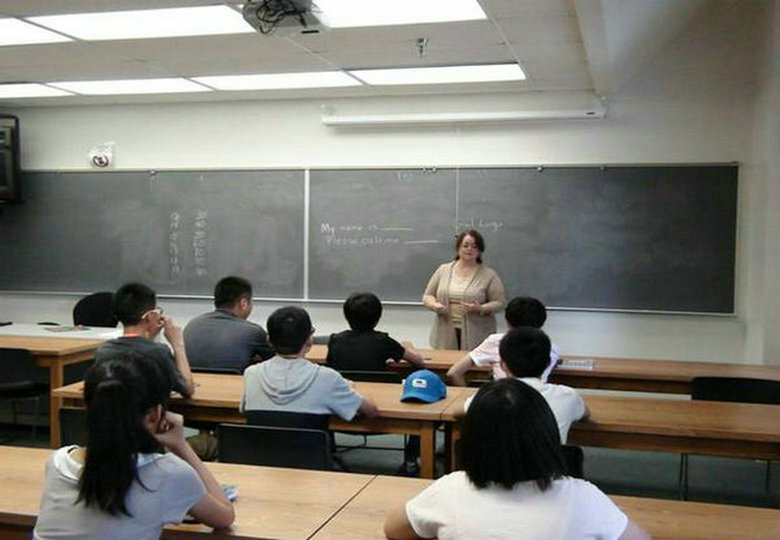 We are getting used to the western food that is fresh, nutrient –balanced ,high fat and sweet .What’s more, the teachers are very patient and humorous, which greatly impressed all of us. Now I’m looking forward to learning more from them. 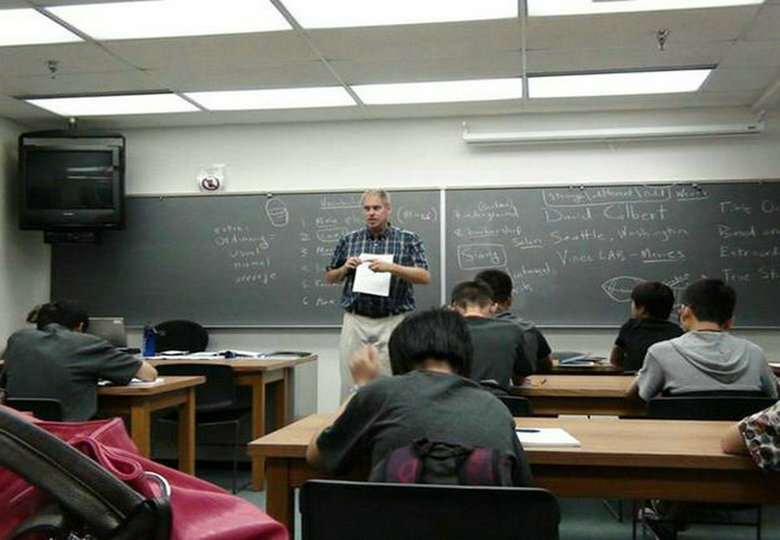 The second day after we arrived here,the students had an exam in order for the American teachers to understand their level.There are three teachers in charge of them, Mr John,Mr David and Ms Gail.The classrooms are very small,which only holds twenty-three students,so our students are divided into two groups.There are three blackboards except the back,which is different from China. Besides there are two shelves which include all kinds of books ,newspapers and dictionaries. 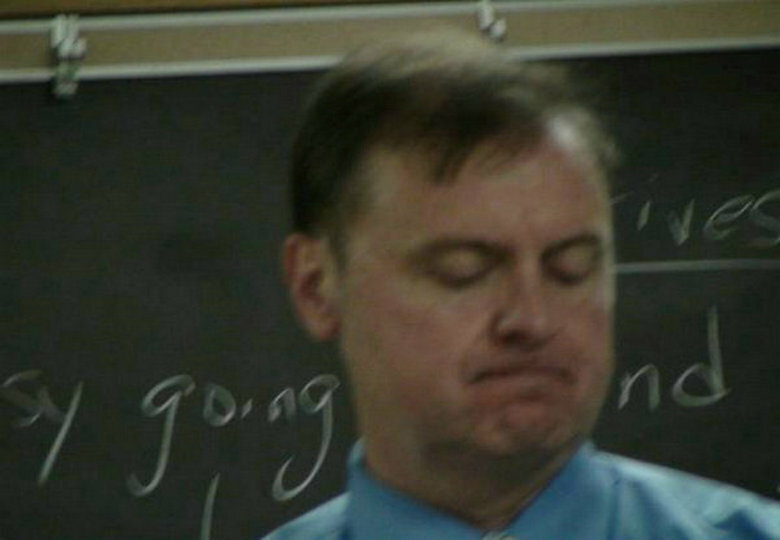 Our students need to have four classes everyday except weekends and do some homework after class. There are four kinds of different subjects we students take. They are reading, video lab, writing and communication skills that are finished from 9 o'clock am to 2 o'clock pm except one-hour lunchtime everyday. After that ,we have a variety of activities .John's reading class covers two parts.One is giving a brief introduction to the activity we take part in. For example ,visit American homes,wild preserve ,car museum,ball game courts and so on. The other part is handing out some passages for us to l earn. Next ,Mr David teaches us how to write an article according to the place we have been to .Gail's conversation class is very lively and interesting .The students like them very much and their English has made greater progress obviously. This morning Mr Scott (vice president of the university) showed Mr Zhang and me around the campus. Many beautiful flowers ,squirrels and large courts attracted me. 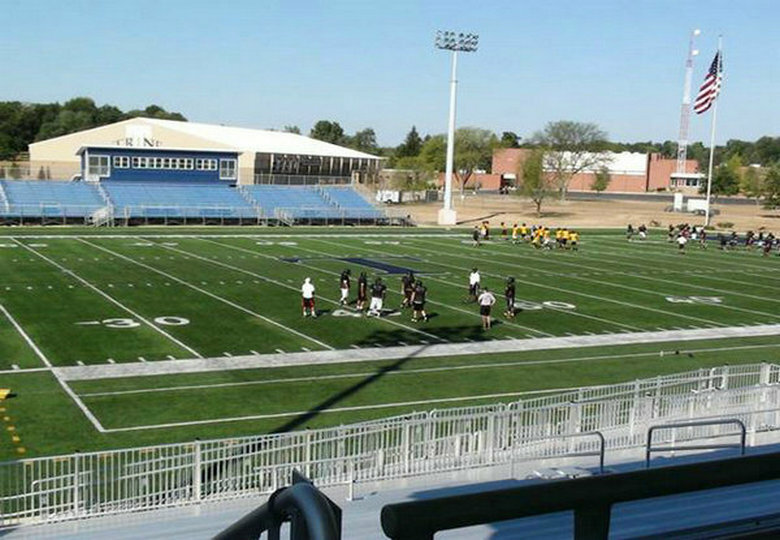 There are basketball and volleyball fields with air conditionings, golf ,football and baseball courts. Every court can hold nearly 3000 to 5000 audiences.All kinds of games are often held here. Fortunately, a baseball game will be held next Monday and we have been invited there to watch. What's more ,one of my students,Chenxu will represent Anqing Foreign Language Middle School to throw the ball .We are looking forward to that day. 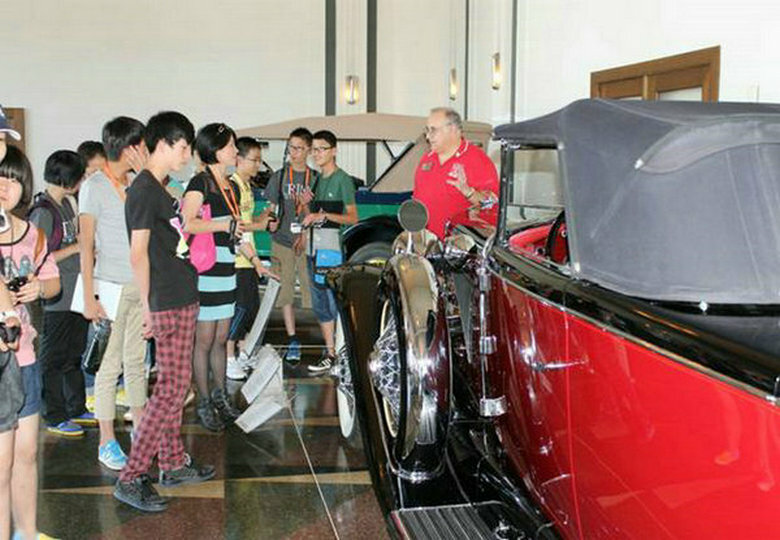 This afternoon we came to the Car Museum ,where we saw many shapes of colorful cars that we have never seen before. They are so expensive that we were not allowed to touch them.We were grouped into two and a couple showed us around separately. 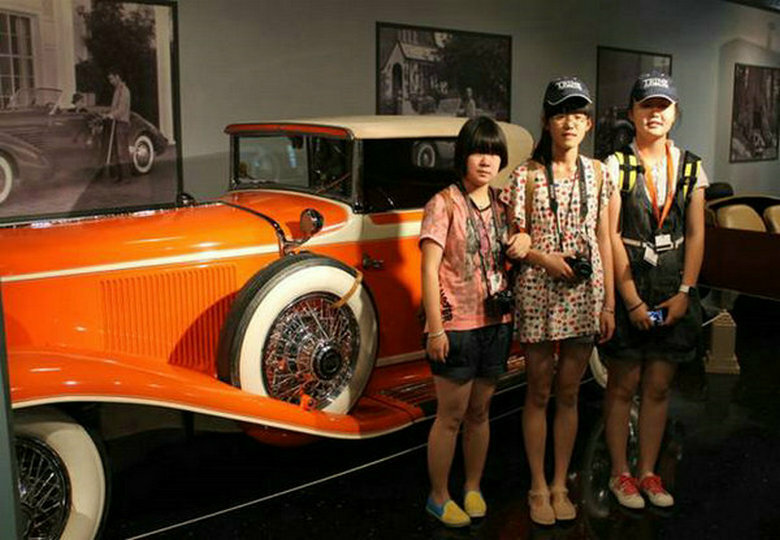 They gave us an introduction to the history and engineering of the cars .We took many pictures with the cars.I chatted with the couple freely. To my surprise , they have a daughter in law who is a Chinese girl. So when they met us ,how happy they felt! Don't you think so? In the following days, we went to LaGrange County, Museum of Science and industry, Pokagon State Park, host families, Tincaps Baseball game and Shipshewana, where students had great fun and felt very excited. Finally we took some photos together with teachers who taught us and said goodbye to them. This is an unforgettable experience for all of us. It is difficult for us to express our thanks with our words for the American teachers’ help, especially David and John (Dr.Shannon), the founder of the program and Vice President of Academic Affairs for Trine. From them we have learnt a lot, covering spoken English, how to understand a passage and how to write. Now our students are no longer afraid of speaking English in public. 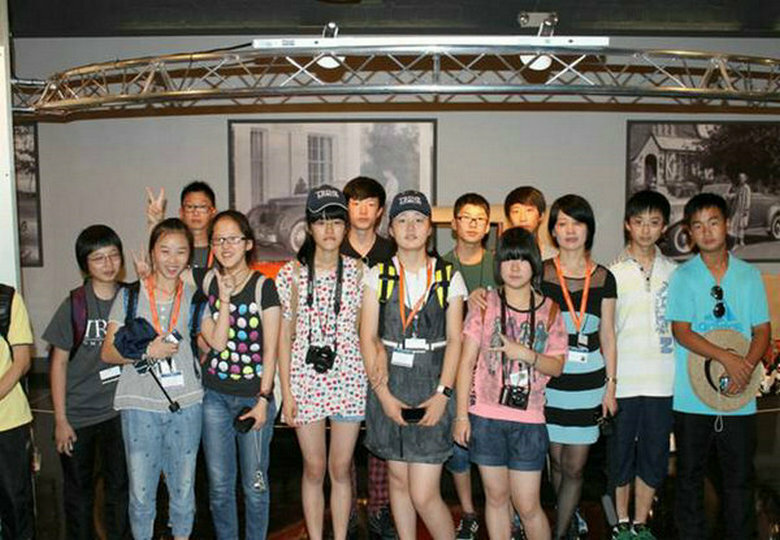 I hope more students will come here next year.